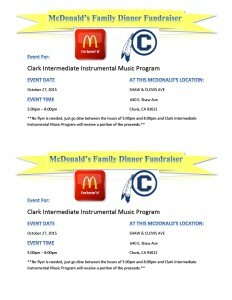 Our first family dinner night is next Tuesday October 27th at the McDonalds on Shaw and Clovis. 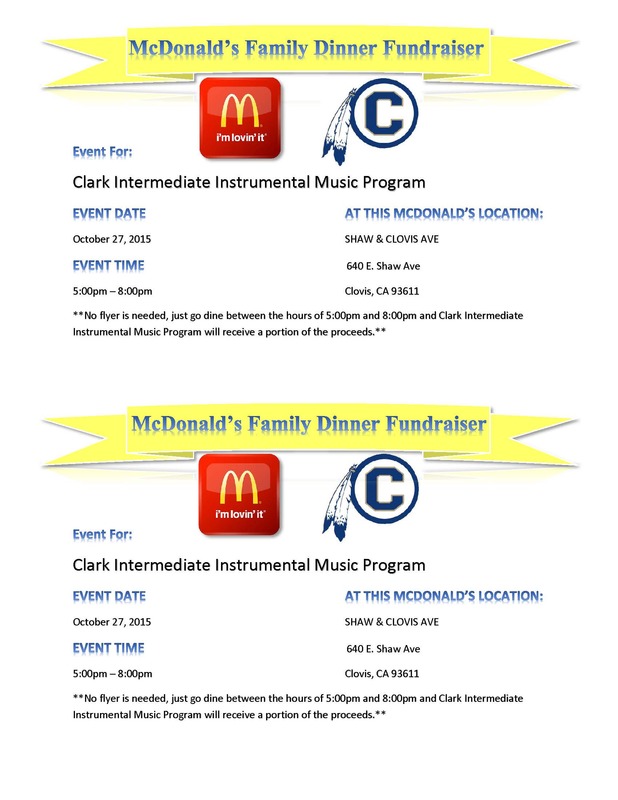 Come out any time from 5pm-8pm and a portion of the proceeds come back to support the instrumental music program at Clark. A flyer has been attached. Also the restaurant has asked for us to have some representation there that evening to draw business into the store. I will be putting up a sign up sheet and I would like for as many student in the band, percussion, and guard as possible to come out and perform from 5-5:30pm that evening. We will play our march as well as the pep tunes we learned for the football game.